Institutional loyalty isn't what it used to be. Malcolm Harris is the author of “Kids These Days: Human Capital and the Making of Millennials,” forthcoming from Little, Brown. When the news broke of the latest national security leaker, it was obvious she was a millennial. Reality Winner is a 25-year-old veteran, a (now former) analyst for the defense contractor Pluribus International and a part-time yoga instructor. She is currently in federal custody, accused of sending a classified document about Russian hacks against a voting-software company to the Intercept, an online magazine. Three of the highest-profile leakers in recent years — Chelsea Manning, Edward Snowden and now Winner — were born between 1983 and 1993. Given that access to classified material is thought to belong to those who have proved their trustworthiness through their service, why do these leakers skew so young? Without intending to, employers and policymakers have engineered a cohort of workers that is bound to yield leakers. An important part of our training for the 21st-century labor market has been an emphasis on taking initiative, hustling, finding ways to be useful, not waiting around for someone in charge to tell us what to do. In a Pew survey of young workers, a majority said they wanted to be the boss someday or already were. And if we can’t boss anyone else, we can at least boss ourselves. The gig-economy service Fiverr, for instance, recruits “doers” who “eat a coffee for lunch.” We are each of us a start-up of one, encouraged to develop and chase our values even if we don’t make much money. That’s usually a good situation for companies, which get ambitious employees (if we’re privileged enough to have that title) at basement rates as long as they’re able to make a thin claim or two about charity or sustainability. However, depending on an army of righteous, initiative-taking mercenaries does have its downsides when it comes to national security. Niccolo Machiavelli’s counsel in “The Prince” that leaders would do well to avoid mercenaries is among the most respected nuggets of military wisdom, but for a crucial part of the millennial life cycle, the government actually sold us on the individualistic slogan “An Army of One .” Although the Army ditched the phrase in 2006, the military’s pitch to young people has continued to be that they can build job skills first and serve their country second. Winner seems to have listened well; according to her mother, she joined the Air Force after high school and trained as a linguist. When she was discharged last year, she left with an uncommon set of languages for a Texan: Pashto, Farsi and Dari. With a security clearance from her military job as a cryptologic language analyst, Winner was able to get a position at Pluribus International, where analysts make about $70,000 a year — about twice the U.S. average for workers without college degrees. Winner is a millennial success story, and she’d be a hell of a poster woman for national service if she weren’t in a cement cage somewhere. One of the reasons Machiavelli advised against using mercenaries is that it’s a no-win situation: Either they’re not competent, or if they are, they’ll substitute their own judgment and goals for their leader’s. Snowden was so efficient at his cybersecurity job that his bosses at Booz Allen Hamilton’s Hawaii office were content to give him the run of the place, and since the government trusted his bosses, the National Security Agency was, in a very real way, relying on him. It’s the kind of mistake that will keep happening because it’s unavoidable. What kind of boss can resist a brilliant young worker who doesn’t need instruction? At a cybersecurity conference, Snowden’s former supervisor Steven Bay explained that the recruit blew away his interview, and with the paucity of technical talent in Hawaii, Booz Allen felt lucky to have him. Employee loyalty is a two-way street, and for millennials, traffic has slowed to a crawl. Companies are investing less in workers. “Among the reasons cited for this,” according to the Wharton business school: “the recession, during which companies laid off huge swaths of their employees with little regard for loyalty or length of service; a whittling away of benefits, training and promotions for those who remain; and a generation of young millennials (ages 15 to 30) who have a different set of expectations about their careers, including the need to ‘be their own brand.’ ” In a nomadic world, one of the casualties is a decreasing sense of commitment to the organization. Wharton management professor Adam Cobb says that over the past 30 years, the trend in business has been to have more risks shouldered by workers instead of companies. That means firms would rather hire an applicant like Snowden or Winner who already has high-value skills that someone else paid to develop. For employers, it’s a bargain, but it comes at a price: “If I’m an employee,” Cobb says, “that’s a signal to me that I’m not going to let firms control my career.” It would be uncharacteristic of millennials to sit loyally until our bosses don’t need us anymore; we’re proactive. Lots of firms try to look like they’re doing good in the world, in line with millennial values. Facebook isn’t an ad company; it connects the world! 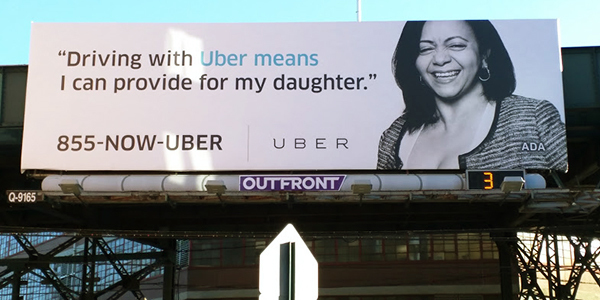 Uber isn’t a cab company; it liberates moms to make money in their off hours! But when firms act contrary to their rosy recruiting copy, workers who weren’t disposed to be loyal in the first place might find another way to live out their values. In February 2016, Yelp employee Talia Jane wrote a long Medium post about how the company was paying insufficient wages to its customer service representatives. She was fired — and pilloried in the media as just another entitled millennial who wanted things handed to her. But a couple of months later, Yelp raised wages by $1.75 an hour and gave Jane’s former co-workers an annual 26 paid days off. Many large labor actions have achieved less. Leaks have higher stakes, but when it comes to influencing American politics, what are defense contractors supposed to do — wait a couple of years to vote again? A 2016 poll by the Economic Innovation Group found that 72 percent of millennials had low confidence in the federal government. Manning and Snowden have had as big an impact as any other individuals I can think of in our cohort. A cynical observer might say they were after fame, but the consequences they have risked and endured make that hard to believe. There’s no number of Twitter followers worth jail or exile, and none of the leakers is accused of being stupid. If some Americans — young ones in particular — celebrate leakers, that’s understandable. It takes courage to pull off what they’ve done, and selfless courage on the public’s behalf is admirable. What’s more important than the document Winner leaked is that policymakers know there are people below them who will keep them accountable or at least expose them to the world. Just as employers can’t rely on worker loyalty they haven’t earned, neither can the federal government. Young people were caught up in a post-9/11 nationalist surge, but it ebbed quickly. In 2016, Gallup found adults under 29 least likely to say they were “extremely proud” to be American, with just over a third agreeing. Every other group, including self-identified liberals, was more proud of America than millennials were. If managers in the national security industry think they can count on patriotism to dissuade potential young leakers, they are mistaken. The cycle self-perpetuates as each leak that reveals another government lie or secret makes the state look less trustworthy and leaking information more legitimate. Even if they can hedge with electronic surveillance, employers (including the government) ultimately have no choice but to trust millennial workers. They need our skills and our labor. I’m sure the vast majority of us are risk-averse, dependable employees. But though it is mostly about tricking us into accepting less money and job security, that rhetoric about living our values sinks in every once in a while. We hardly invented leaking, but millennials are especially well-suited to the tactic. It’s a squirt gun we can use on our leaders when they’ve stepped out of line. I don’t imagine that employers — public or private — are going to start inspiring loyalty or stop abusing power anytime soon, so expect the leaks to keep flowing. At least until millennials find a bigger weapon.